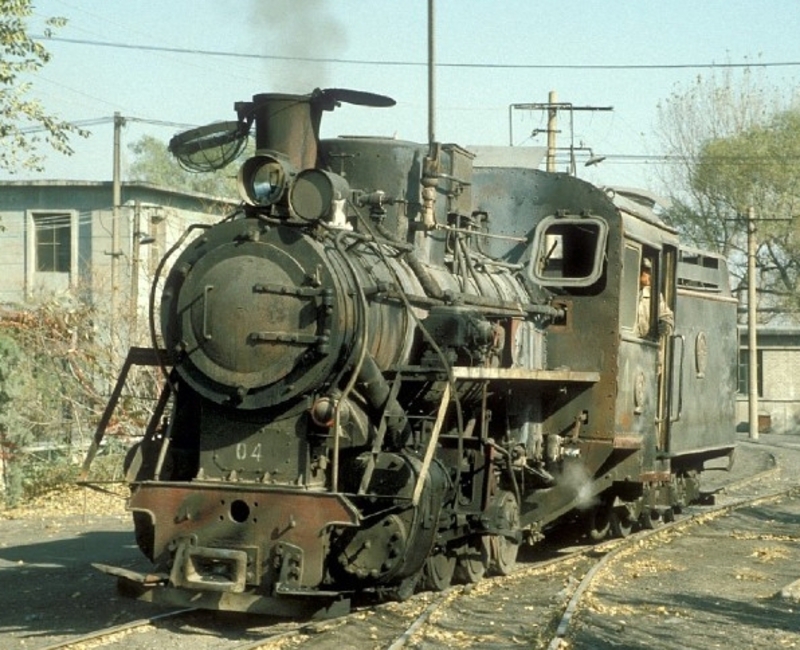 The history of the narrow gauge locomotives used at Dahuichang is far from clear, with sparse (and often conflicting) documentary evidence, and no photographs from the early years. We were reluctant to write this page, recognising the risk of creating or perpetuating mis-information. However, several people have expressed an interest in this data. We have attempted to pull together the probable facts into something plausible, and accept responsibility for any errors. If you know better, please let us know and we will happily correct the data! It is worth noting here that standard gauge steam locomotives were also used in the exchange sidings at Dahuichang, including YJ287 and SY0251. They are not the focus of this article, but it is possible that some of the confusing or conflicting data about the narrow gauge may actually relate to standard gauge locos. Type CK 0-6-0 tank locos, 'from America', 'lighter engines'. Numbers 5 and 6. These appear on Mr Shang's list. 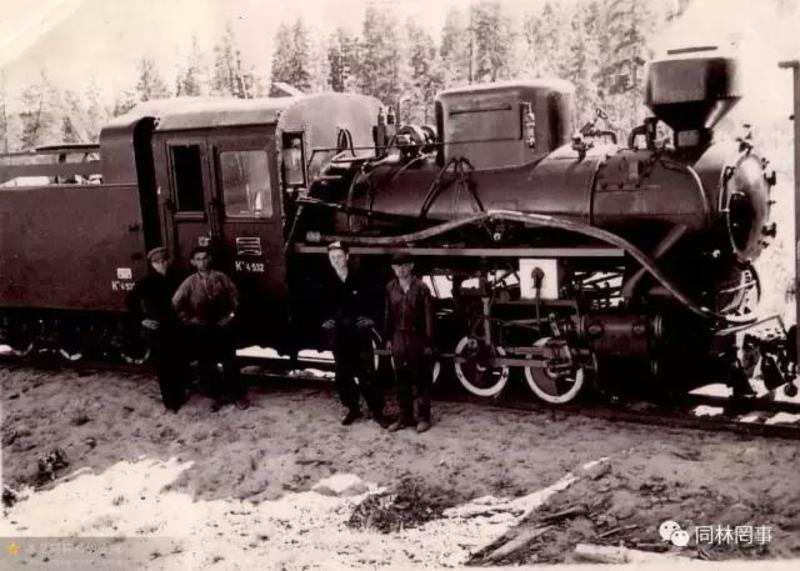 Several Chinese sources describe American steam locos in use on the forestry railways in the North East of China in the 1950s. A review of the types listed does not clearly indicate any small American-built 0-6-0 tank locos. However, numerous 0-6-0T locos had been supplied by Baldwin to the Japanese-built Antung - Mukden (Dandong - Shenyang) 762mm gauge line in 1904/5. This line was re-gauged to standard 1435mm gauge in 1909, so it is likely that the Baldwins found further use elsewhere in China. Perhaps two made it to Dahuichang? 18-tonne 0-8-0 tank locos. Mr Shang's list includes loco number 4, Dalian Works 118, which arrived in 1957 and was put into service 1958. 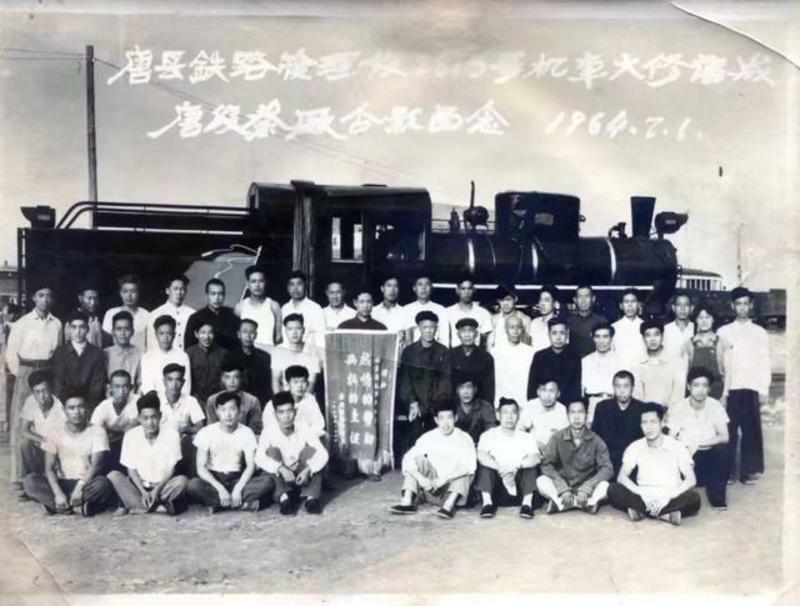 These 18t locos were the first Chinese-built 762mm gauge locomotive type prior to the introduction of the common 28t 0-8-0 tender loco. The design was copied from a 1937 Orenstein&Koppel design built for the forestry lines in Japanese-occupied Manchuria. Dalian started construction of these in 1952; later they were also built at Zhengzhou and Chengdu and production ceased around 1965. The locos were sometimes described as 'Yun1118' class, so Mr Shang's '118' may refer to the class rather than the works number. 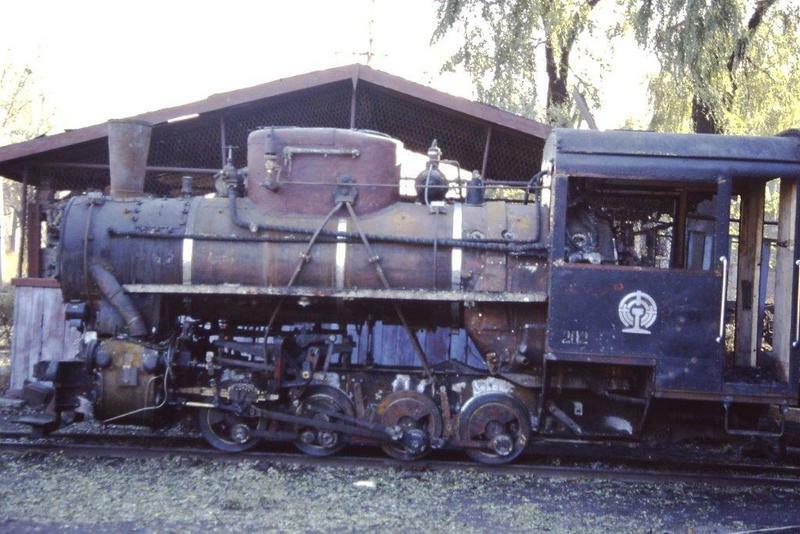 One report states that three cabs from this type of locomotive survived in use as stores at Dahuichang into the early 2000s; we only have photographs of two of them, one with a visible number 2. The un-numbered cab had rounded windows like the Yun1118 works photo, while number 2 had rectangular windows. 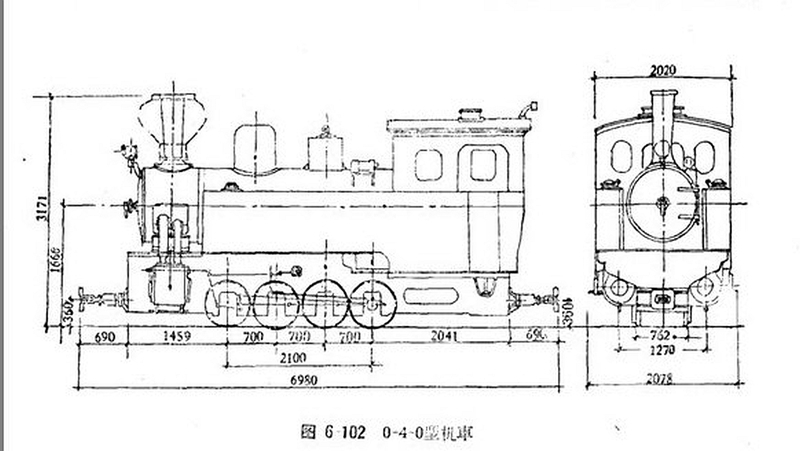 Basic dimensions of the 18-tonne locomotive, a saturated 0-8-0T built at various factories in China including Dalian. Type KP, Romanian loco, 1959 (From Mr Shang's list). It is fairly certain that no narrow-gauge Romanian locos were exported to China, and no 28-tonne locos of the C2 family were built in Romania. This is most likely a reference to a Polish КП-4 (predecessor of the C2, many were exported to China including some in 1959). Type KM-4, built at Shijiazhuang, 1961 (From Mr Shang's list). This is a Chinese copy of the Polish KП-4. 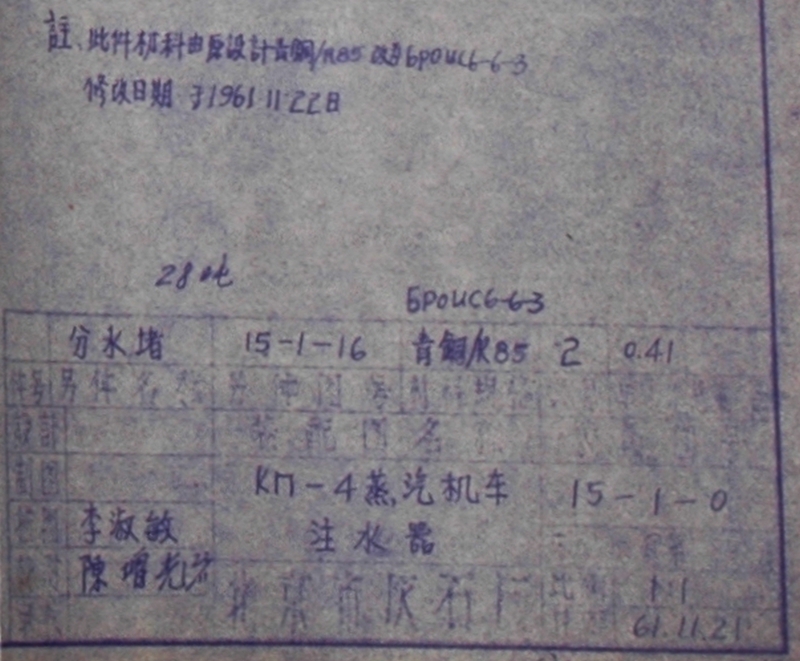 They were sometimes described as KM-4 because the Russian 'P' (pi symbol П) looked like an M.
Title block on one of the technical drawings in the railway office at Dahuichang. Note the drawing date of 21 November 1961, and the annotation made the following day. The loco class is described in the title as КП-4 with an annotation above of 28吨 (28 tonne). There is also some Russian script. These drawings appear to have been re-drawn locally, and support the existence of 28-tonne locos at Dahuichang by 1961. The early Shijiazhuang locos were almost indistinguishable from the Polish imports, and any differences are likely to have vanished during rebuilds in subsequent years. 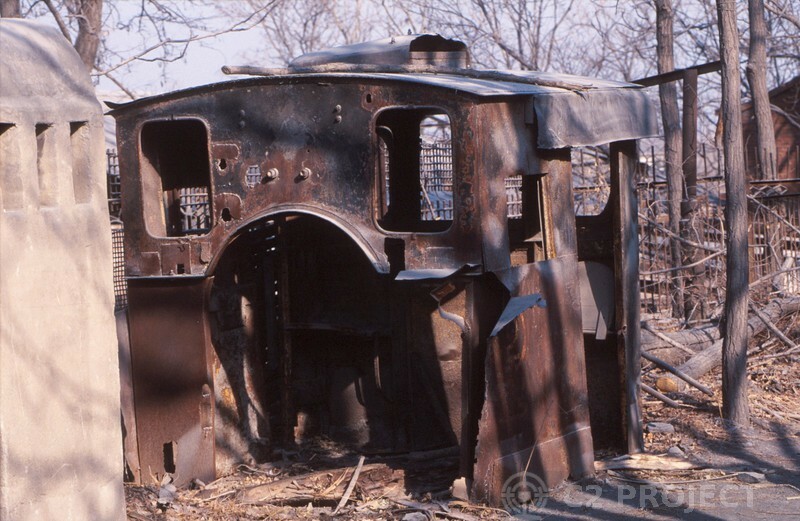 An older 28-tonne loco at Dahuichang was numbered 01, and survived until 2000 although it was latterly derelict. This list is conjecture and I have edited it several times since publishing this page as new information has come to light! It is likely that most Western visitors to the railway at Dahuichang will never have seen any of the locomotives discussed thus far, and they may never have been photographed in operation. From the 1980s, the fleet was replaced with modern 28-tonne C2 locomotives. 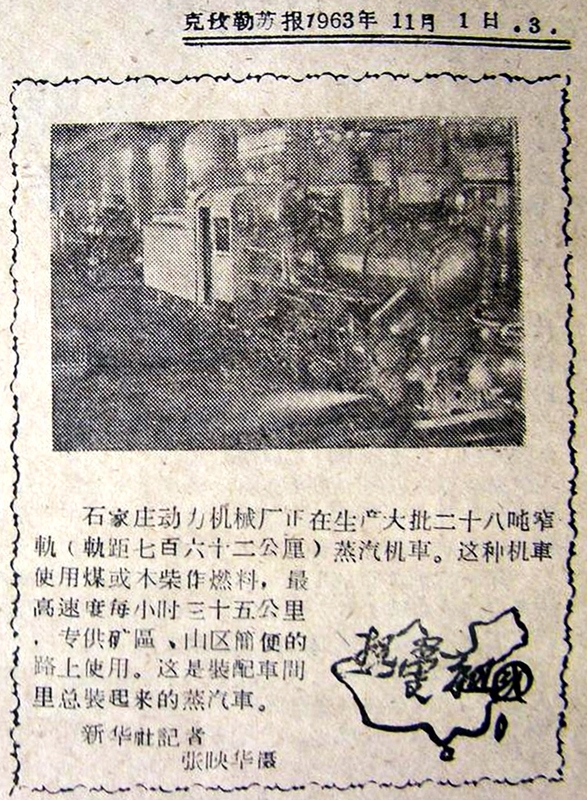 C2 was the designation that Harbin Forest Machinery Factory used for their 28-tonne locomotives. Initally their products were similar to the Polish KП-4 and Shijiazhuang's ZM16-4, but from the 1970s Harbin updated the design. Later locos featured large all-weather cabs and roller-bearing motion, which distinguished them from earlier 28-tonne locos; however many earlier locos were also rebuilt to this standard at Harbin. The C2s latterly working at Dahuichang were of this type, and were among the last 20 C2s ever made. Title block on a technical drawing in the railway office at Dahuichang; this drawing is for a component of the roller-bearing coupling rods; note the drawing number starting with C2. These C2 drawings appear to have been re-drawn locally, but sadly no dates are shown. One might think that their history would be more definite, with them being more recent and surviving to be seen and photographed by hundreds of Western enthusiasts. Sadly it is not quite that simple! 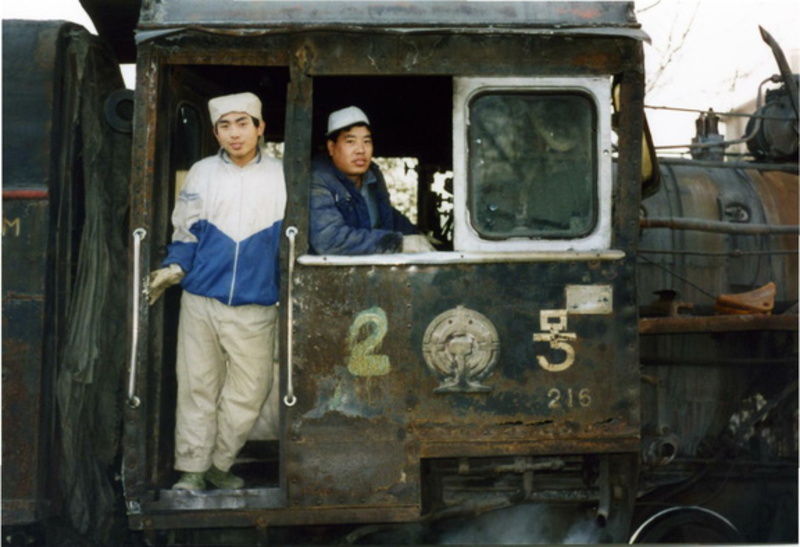 In the mid to late 1980s, Harbin was still building C2 locomotives, at a slow rate of about 2-3 per year. By this time, approximately 200 had been completed, and so the locos being outshopped had works numbers in the low 200s. 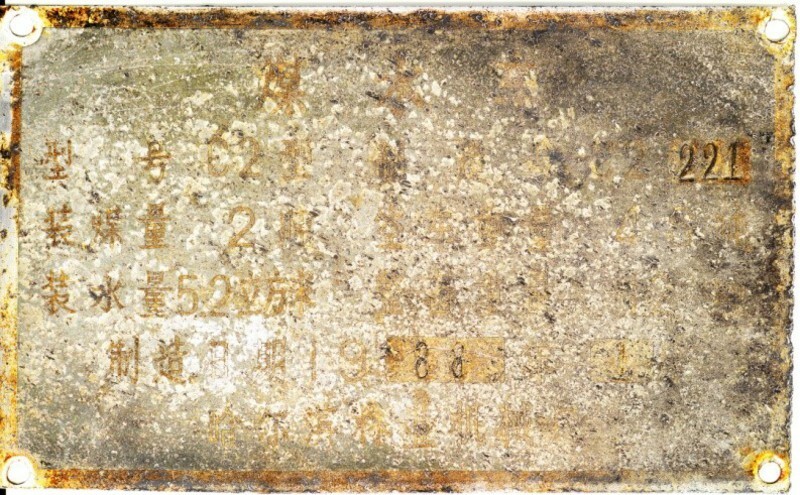 The new locomotives originally carried a small stamped aluminium worksplate on the cabside, and another on the tender. These were similar to those often found on electrical equipment or industrial plant, rather than locomotives. 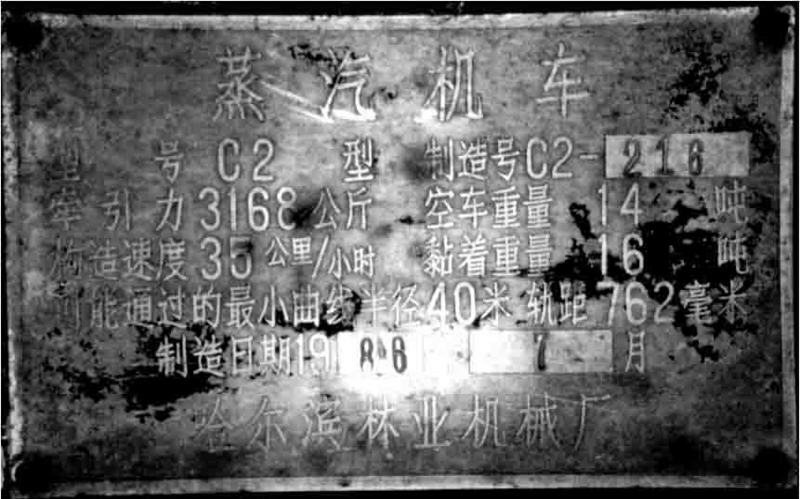 Most of these plates were removed from the Dahuichang locos at some stage. 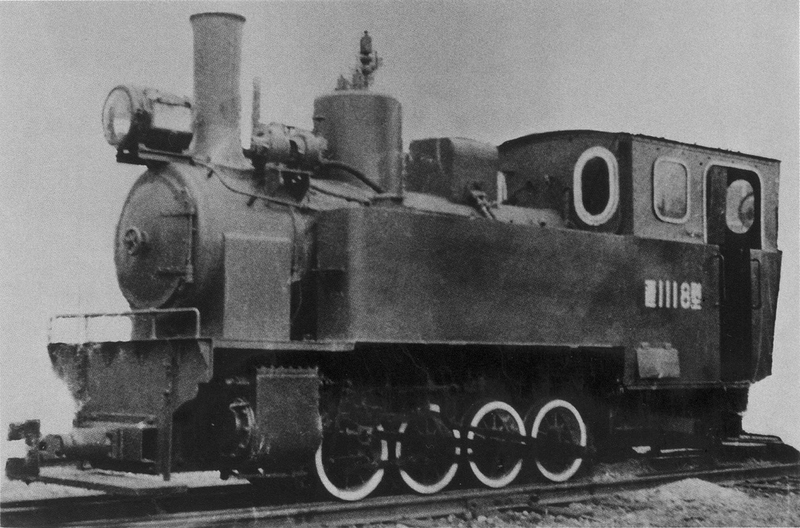 Some Harbin-built locomotives also carried larger cast aluminium worksplates on the dome, but with no unique locomotive identity. If once carried by the Dahuichang locos, these would have been removed when the sandboxes were modified. Visitors to Dahuichang in 1998 and 1999 reported five 28-tonne locos, with the older 01 dumped outside the shed and four 'C2' locos serviceable: 02, 03 and 04 plus a fifth loco variously described as 05, 06, or 'the loco with no number'. Photos of this latter loco confirm that it was the same loco later numbered 1; it was probably renumbered after the old 01 was scrapped. 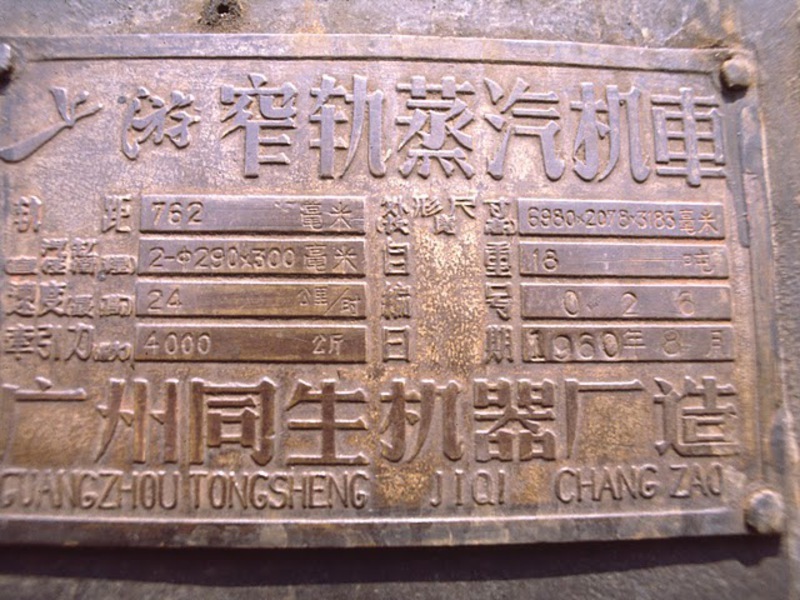 In 1986, Harbin Forest Machinery Factory claimed to have recently supplied two new locomotives to 'Changchun Brick Factory' and by 1987 this number was said to have been three. Dahuichang is in Changxindian county, which may have been misunderstood as 'Changchun'. 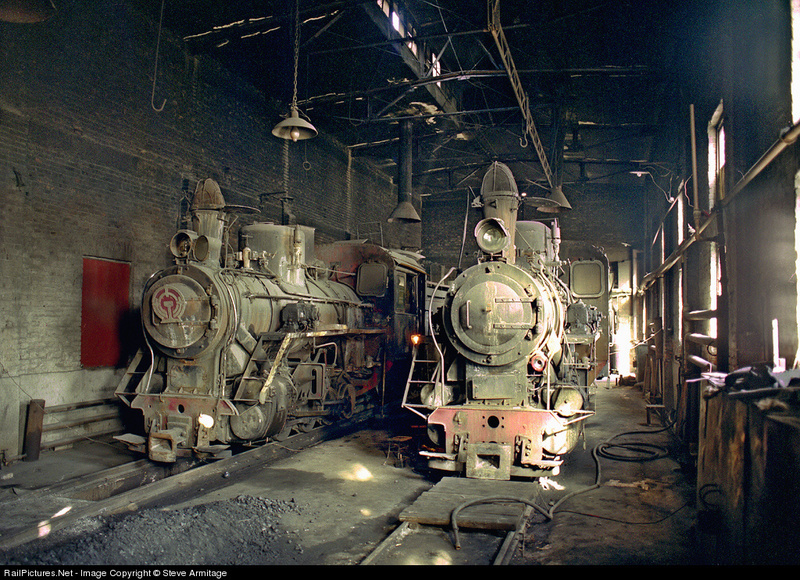 When locomotives were overhauled, either at Harbin or at the railway workshops, it is likely that parts would be swapped, and it is possible that even a nominally 'new' loco might contain older parts. The earliest photos of number 4 show it with a narrow cab which was not typical of the 1980s Harbin locos. Harbin 208/1983: When we bought our loco, we acquired the two sets of surviving loco log-books from the loco office at Dahuichang. These included a boxed set of several neatly bound books for works number 208. The boiler test date is quoted as 1983.6.9 and there is also a handwritten note '83-4-257-9-208'. Harbin 209/1983: In the boxed set of books for 208, the book containing the tender details is for 209. At the time of our purchase, locos 1 and 3 had swapped tenders, and 1 (with 3's tender) had been sold. So it is possible that 208 was #3 and 209 was #1; the other logbooks may have gone with the sold loco. Harbin 216/1986: This one is clear! 216 was Dahuichang #2, and carried its loco worksplate well into the 2000s, as shown in the photo above. The other boxed set of loco log books that we have is for 216. This has the boiler drawing annotated 86-5-87-4 which may represent the dates for start and finish of build. Harbin 221/1988: This is the one we think we've got - Dahuichang #4. When we bought the loco, the tender still carried its worksplate confirming this identity. Sightings and photos of #4 as 221 from 1997 to 2005 confirm that the tenders were not routinely swapped. However, although we have found many numbers (possibly works numbers) stamped into motion components, none of them are 221! So far we have found probably 10 different numbers, of which 202 is the most common, and one part which appears to have come from a Polish loco. This proves that components were commonly exchanged at overhaul, but doesn't confirm the identity of the locomotive. 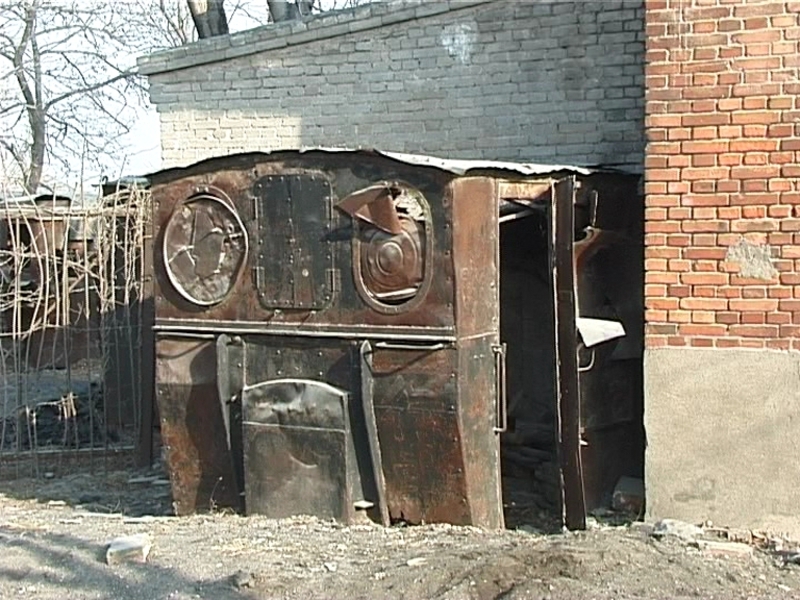 Until 1998 the loco had a narrow cab which would not have been typical of a Harbin product of the 1980s. So, was our number 4 supplied new in 1988, perhaps using some older parts that were in stock, or was it actually an older loco which had a major rebuild in 1988 including a new tender that was numbered 221? We don't know for certain. Above: the bound boxed set of three books: two for the loco and one for the tender. 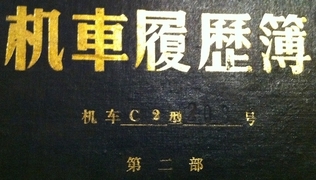 Above Right: Close up of the cover of the second loco book, showing the impressed number 208. Right: One of the inside pages, with details of final inspection or test, including stamps of approval. 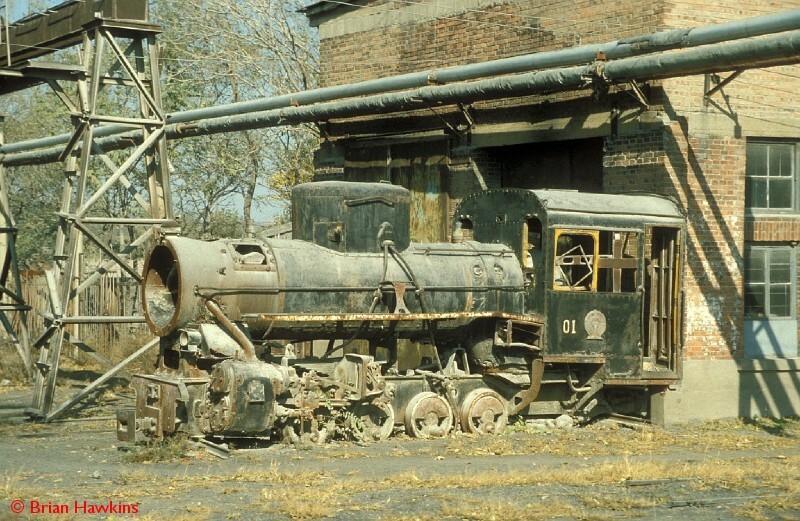 Occasionally the locos at Dahuichang were sent away for major overhaul, where the work required was beyond the capabilities of the local workshop. Mr Shang told us that #4 had never been away from Dahuichang since it was delivered new, but this seems unlikely as other evidence suggests it had a 10-year overhaul at Chaihe in 1998 when it acquired a new cab. 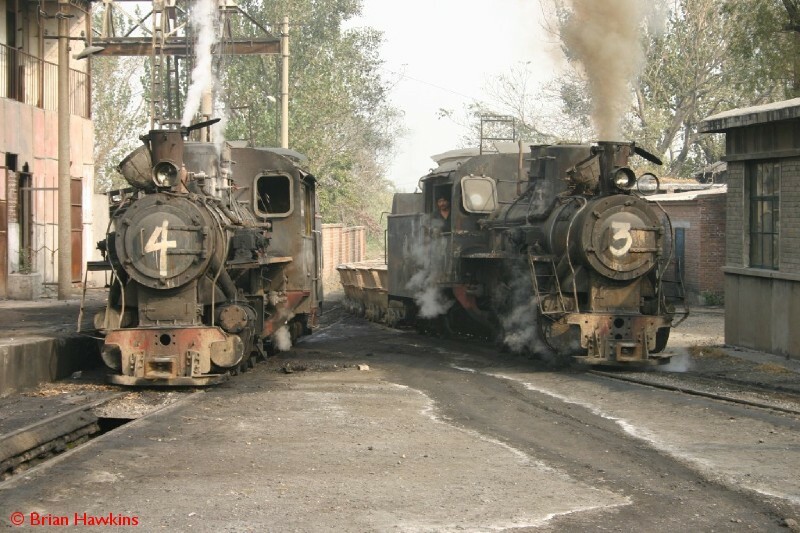 Some of the other locos certainly went away for overhaul; in 2000 there were only 3 locos present on the railway (including #3 and #4) and the staff said that the other was at Harbin under repair. In 2002, loco #1 was observed at Dahuichang apparently having just arrived from Beian. It therefore seems plausible that the four locos at Dahuichang in the 2000s were 208 (#3), 209 (#1), 216 (#2) and 221 (#4). However, with the data currently available we cannot be sure. In due course we intend to create a list of all the parts of #4 that carry works numbers, and see if we can draw any more conclusions. When the railway closed, #2 was in the middle of an overhaul at Dahuichang. This was completed, with the hope that the railway could re-open as a tourist attraction in due course. 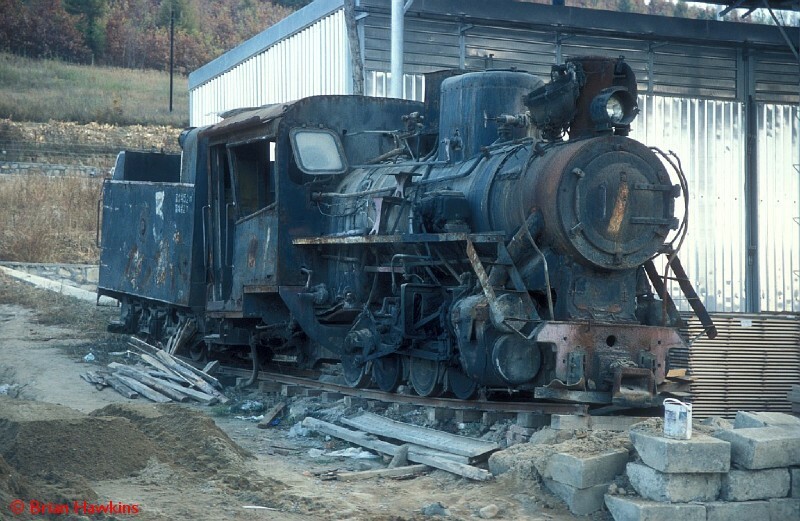 Loco #1 (with #3's tender) was sold within China fairly quickly, but as far as we know it has not seen any further use. When we bought #4, #2 was still standing in the shed freshly overhauled, while #3 (with #1's tender) had clearly been robbed of parts to make the other three locos serviceable.As of December 2013, #2 and #3 are still there, locked away in the shed!